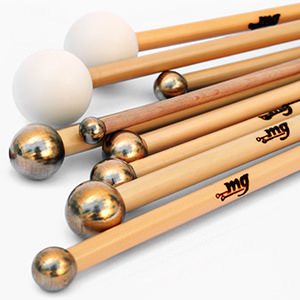 Mg mallets creates handmade mallets for percussion instruments. 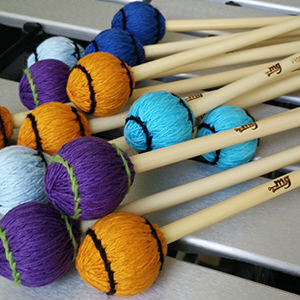 Several models of Marimba mallets to satisfy every musician’s preferences. Upon request, American birch handles or rattan handles. Four models with inner cores of variouing hardness and wrapping cotton. We use the best, most selective and straightest rattan. 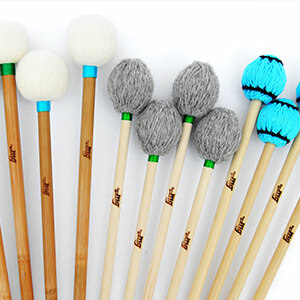 Mallets with plastic, rubber or brass heads. Perfect for an orchestra and for the solo repertoire. 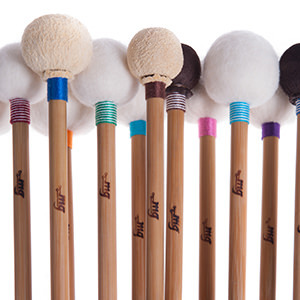 Choose the mallet set that best meets your needs. 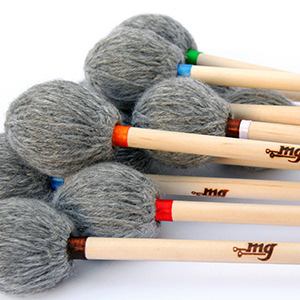 We have creatws several kits, always keeping Mg Mallets quality intact, devised for students and professionals. 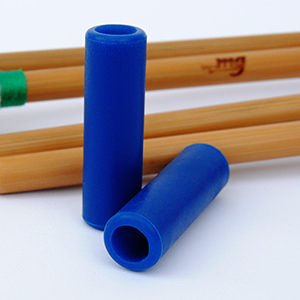 Mg Custom Silicone Grip for timpani mallets. Contact us for further information.